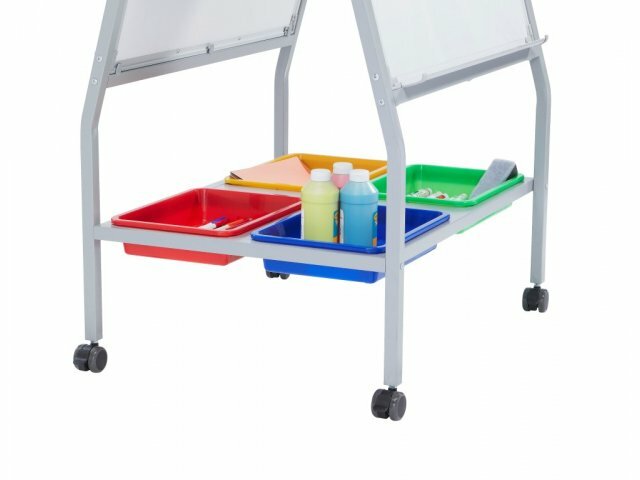 The Academia Mobile Teaching Easel supports creative learning in your flexible classroom. The mobile design allows educators to provide clear instruction and demonstrations for students from anywhere in the room. 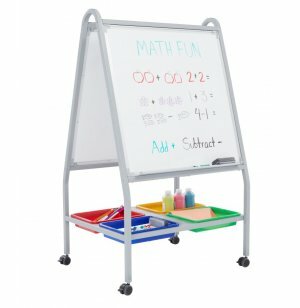 A magnetic whiteboard surface is perfect for hanging charts or pictures as well as writing out problems or brainstorming. 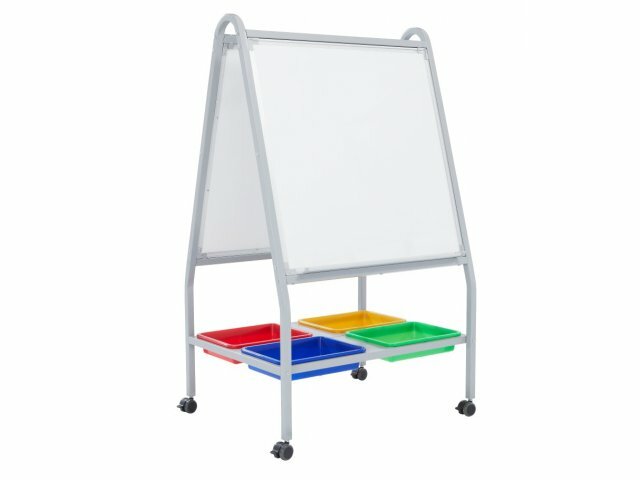 With a double-sided whiteboard that easily glides into place, making sure that each student can see the board is much easier. Whether the class is working in collaborative clusters or seated on the floor for circle time, everyone can enjoy a clear view of the easel. Four colorful plastic storage compartments can hold a variety of dry erase markers, board erasers and any other classroom supplies you might need. A heavy-duty unitized steel frame ensures that educators will be using this teaching easel to support lessons for many years to come. Double Sided: A whiteboard on each side provides double the amount of writing space. Dry-Erase Board: Porcelain magnetic marker board surface encased in metal frame, 30" x 30". 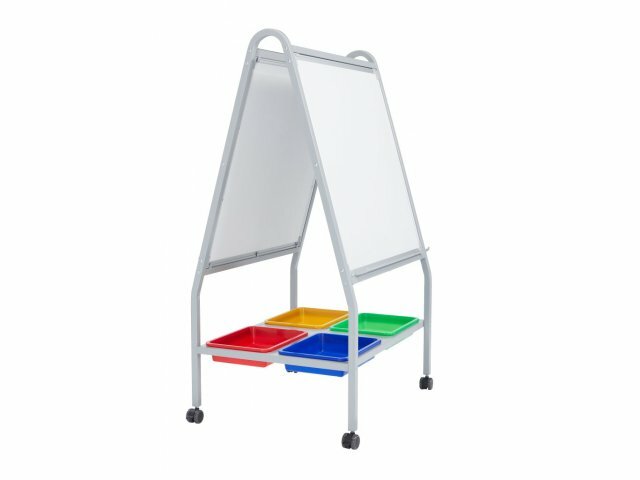 Convenient Design: Four colorful plastic holding trays make it easy to keep markers, erasers and other supplies close at hand. Trays measure 10.5" x 13.75" x 3". Durable Build: Unitized frame consists of 1" square powder-coated steel tubing, offering strong support for years of use. 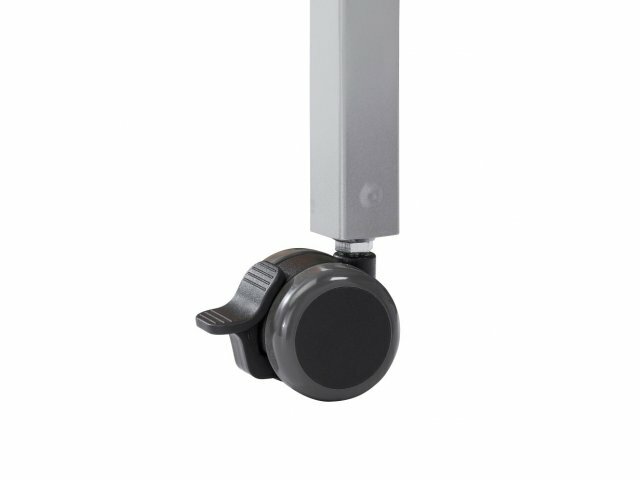 Smooth Rolling: Four standard 2" heavy duty locking casters facilitate mobility, allowing educators to teach from anywhere in the room.